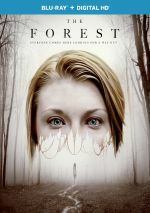 It seems illogical to release a dark horror film right after New Year’s, but perhaps Universal hoped this form of “counter-programming” would help 2016’s The Forest find an audience. It didn’t work, as the film grossed a mere $26 million in the US. Still, with a budget of only $10 million, The Forest might’ve made a little money when all was said and done. Buried under the big 2015 titles still in theaters when it opened January 8, I missed The Forest on the big screen but I figured I’d give it a look at home. After her twin sister Jess disappears from her job in Japan, American Sara Price (Natalie Dormer) goes to locate her. Reports indicate locals last saw her on the outskirts of Aokigahara Forest, a spot neat Mount Fuji that goes by the name “Suicide Forest” due to number of self-inflicted deaths that occur there. Sara resists the notion that Jess killed herself and she investigates her sister’s whereabouts. This takes a decidedly supernatural twist when Sara enters the mysterious wooded domain. Given it setting, story and tone, one might think that The Forest offered a remake of an Asian horror film. However, one would think incorrectly, as the film originated with an idea from American screenwriter – and Forest co-producer – David S. Goyer. Goyer did take the concept from a real place, as the Aokigahara Forest does exist in Japan – and it’s indeed known as “The Suicide Forest”. Much of the movie’s tale seems to take inspiration from themes/beliefs about this actual location. Too bad the screenwriters failed to use flesh out these concepts in a manner that allowed them to form a credible, provocative movie. At its core, The Forest offers something that could’ve been creepy and spooky, but the final result seems inert. Very little happens in The Forest, and that becomes a problem. The viewer winds up in a perpetual holding pattern, as the movie plods along in search of thrills that never come. Oh, The Forest does attempt its requisite allotment of scares, but these flop. Like too many horror movies, it simply tosses out jolt moments accompanied by loud musical stings. These may give us a brief jump but they inspire no true terror, as they create nothing more than cheap “boo” moments. I guess the filmmakers hope the movie’s long build-up will develop characters and intrigue, but neither results. Instead, the film plods along without substance. We don’t get to know much about the personalities and situations beyond the basics, so it feels like a padded effort without the necessary depth to create viewer investment. No one in the cast brings life to their roles. Dormer seems flat and forgettable as our lead; she appears annoyed more than concerned/scared through the film. The others tend to blend into the scenery and fail to add to the proceedings. Like co-producer Goyer, I think there’s a good story to be told here. Unfortunately, The Forest fails to find it. The Forest appears in an aspect ratio of approximately 1.85:1 on this Blu-ray Disc. The movie came with a positive presentation. In terms of palette, Forest went with Hollywood Standard teal and orange, with an emphasis on the blue/green. That seemed like an uninspired choice, but I couldn’t complain about the execution of the tones, as they seemed fine. Blacks appeared dark and dense, while shadows showed decent clarity. No notable issues occurred here. A smattering of extras fill out the set, and we launch with an audio commentary from director Jason Zada. He presents a running, screen-specific look at story/character areas, cast and performances, editing, sets and locations, music, effects and related topics. Overall, Zada brings us a pretty interesting chat. Occasional lulls occur, and the piece lacks a certain zing that’d elevate it. Nonetheless, Zada covers the movie in a satisfying manner. A featurette called Exploring The Forest runs eight minutes, five seconds and offers info from Zada, producers David S. Goyer and Tory Metzger, costume designer Bojana Nikitovic, key makeup artist Martina Dodocic Subic, production designer Kevin Phipps, and actors Natalie Dormer and Taylor Kinney. We learn how Zada came to the project and what he brought to it, research in Japan, story/characters, cast and performances, makeup and effects, sets and locations, and movie themes. Despite its brevity, “Exploring” offers a decent overview of the production. Galleries breaks down into five subdomains. We see “Behind the Scenes Photos” (5 stills), “Set Illustrations” (8), “Visual Effects/Makeup Concept Art” (14), “Model Cave Photos” (4) and “Storyboards” (229 across 4 scenes). Some good elements appear here, though the interface makes it slow to access them. The disc opens with ads for London Has Fallen, Race, Krampus, Mr. Robot, The Boy and Kubo and the Two Strings. Previews adds promos for Self/Less, Sinister 2, Black Sea, The American, Closed Circuit and Hanna. No trailer for The Forest appears here. Aspects of The Forest show promise, but the film as executed fails to exploit these. Instead, it creates a slow, sluggish effort without much drama to be found. 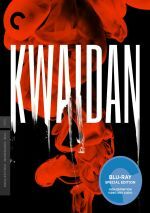 The Blu-ray presents pretty good picture and audio along with supplements led by a mostly positive commentary. I’ve seen worse horror movies, but The Forest remains mediocre at best.